Students graduating this spring and summer from the University of Alaska Anchorage’s School of Education will still be considered graduates from a “state-approved program,” despite the recent loss of national accreditation, the state board of education decided in a unanimous vote Monday. Typically, the teaching degree programs would need to be accredited for the state to approve them. State approval carries considerable weight for graduates’ future employment and teacher certification in other states, according to state education officials. “It’s unfortunate that we’re in the situation we're in, but at this point we just have to make sure it never happens again and we move education forward,” said James Fields, chair of the Alaska State Board of Education and Early Development. The board’s decision on Monday also solidifies Alaska Education Commissioner Michael Johnson’s announcement last month that UAA’s School of Education could still recommend its spring and summer 2019 graduates for teaching licenses. UAA has 40 students graduating from the affected programs in the spring and summer. Another 15 have already transferred out, according to a UAA spokeswoman. What remains unknown: What does the loss of accreditation mean for the rest of UAA’s aspiring teachers, who aren’t graduating this spring or summer? UAA announced on Jan. 11 that a national oversight body — the Council for the Accreditation of Education Preparation — had revoked the accreditation of its “initial licensure programs,” meaning bachelor’s and master’s degree programs for people working toward their initial teaching certification. About 250 students were enrolled in the programs in January. The programs failed to meet four out of five standards. The re-accreditation process could take up to three years. The news was a blow to students. The state board of education on Monday also unanimously approved a process for UAA moving forward. Under the process, UAA must develop a plan that shows the affected teaching degree programs are “substantially” meeting the accreditation standards. That plan must include a timeline for regaining accreditation. The plan will then go through a series of reviews and approvals before it’s presented to the board. The plan will inform whether the board decides to consider UAA’s affected programs as state-approved programs in the future, in the absence of accreditation. Education Commissioner Johnson said that the board could decide to make the decision in pieces, over time, until it’s ready to make a longer-term decision. For example, it could next decide whether to extend state approval for the programs' December graduates. UA President Jim Johnsen said in a statement Monday that he was thankful for the action that the state board took to ensure the spring and summer graduates will receive their degree from an approved program. 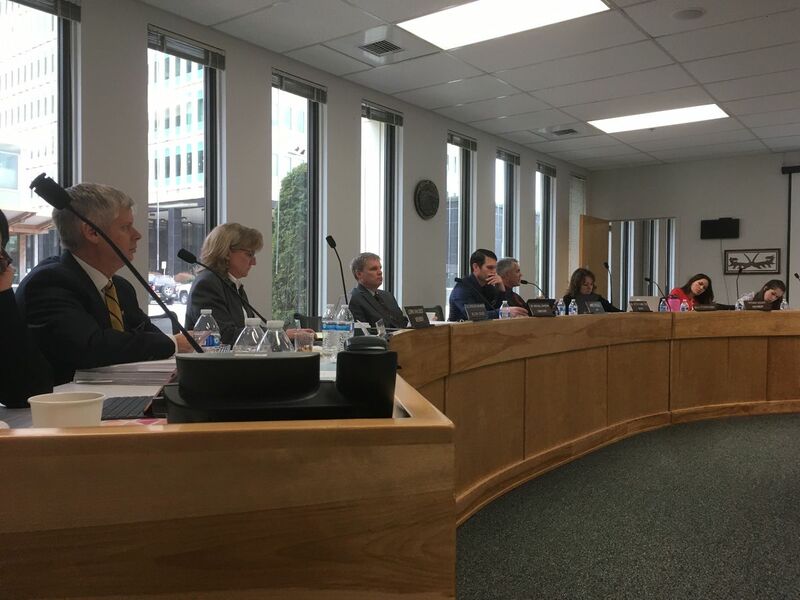 The state board’s UAA decisions on Monday followed a presentation by UAA School of Education interim director Claudia Dybdahl. The accreditation process began in 2016, she told the board. Dybdahl started in the interim director job in March 2018. Dybdahl told the board that UAA’s School of Education lacked sufficient evidence and data to prove it met the accreditation standards. She said improvements and changes were already underway. Board members peppered Dybdahl with questions about the accreditation timeline and process. Fields said there needed to be an annual report to the state board of education and the UA Board of Regents about where universities were in their accreditation processes. Dybdahl said, in hindsight, UAA should have somehow informed students it was going through an accreditation review because every time it does, there’s always the possibility of a denial. She said those involved believed UAA would get a two-year accreditation. This was the first time UAA sought accreditation through the Council for the Accreditation of Education Preparation. The University of Alaska Fairbanks received the accreditation in November. Fields said UAA should have been thinking about what would happen if it didn’t get accreditation. Accreditation matters, he said, and to drop the decision on the board, asking it for help, is reactive.